Do you have a beloved hardwood floor that has seen better days? If your houses wood flooring has become dull, worn or damaged, you may want to think about hardwood floor refinishing in Toronto. When undertaken by professionals, this process packs powerful potential to refresh and renew your flooring. One of the largest and most compelling potential benefits of hardwood refinishing is the restoration of full beauty. Over time, your floor may become worn and dull, no longer carrying its prior warm, lovely visual appeal. This problem may often be repairable through the refinishing process, leaving you with a sleek, shining floor surface that can likely serve as the centerpiece of a beautiful home. You want your wood flooring to last as long as it possibly can. Were you aware that hardwood floor refinishing in Toronto may help boost your floors longevity? Repairing the surface of your floor is likely to add durability while helping protect from certain types of future damage. Refinishing may especially offer benefit to wood floors that are subject to a high level of foot traffic. If you are tired of a wood floor that constantly squeaks, creaks or groans, the refinishing process may be able to help with that problem as well. An experienced contractor will likely know ways of repairing squeaky or groaning floors relatively easily and without causing damage. Professional assistance may be able to provide you with a floor that is as quiet and solid as it is lovely. If you are like many homeowners, your hardwood floor may be your pride and joy. If properly maintained, this type of flooring tends to be especially warm and appealing to the eye. 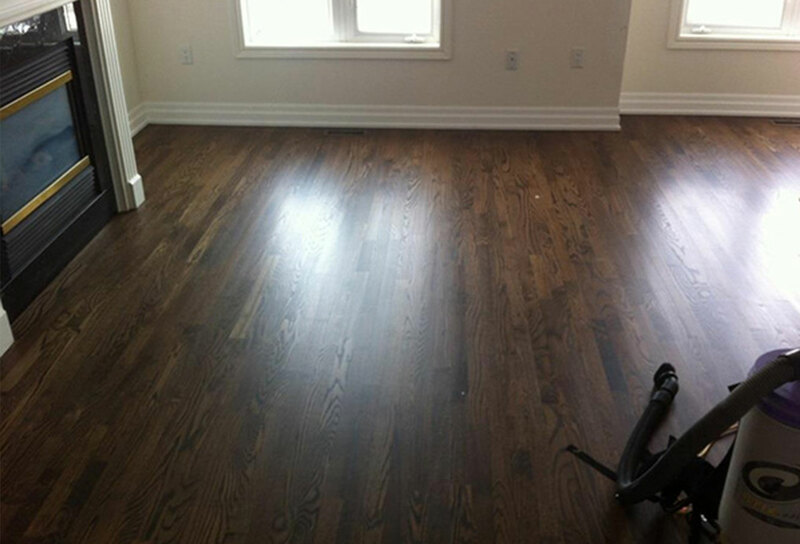 If you have noticed that your floor looks dull or damaged, hardwood floor refinishing in Toronto may be able to help. This process can generally help restore beauty and boost longevity while also possibly repairing certain existing problems.